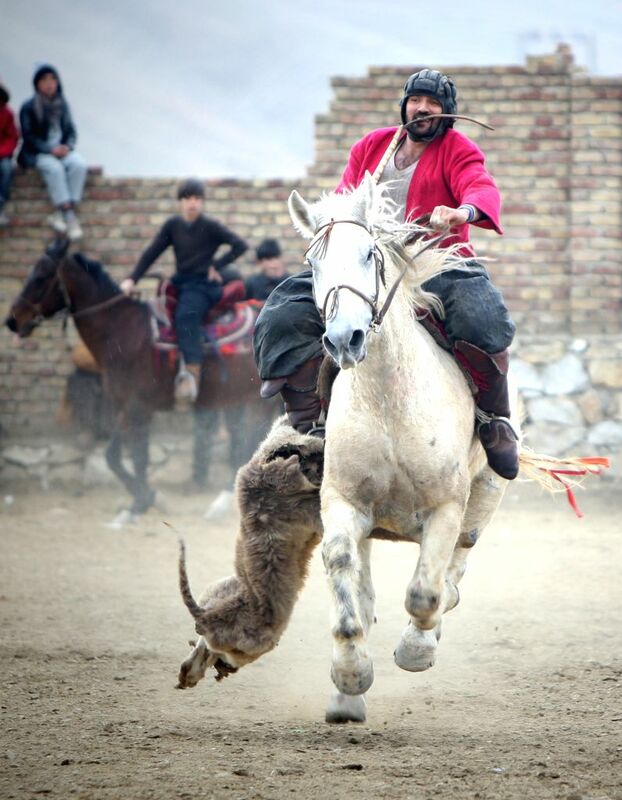 An Afghan horseman competes during a game of Buzkashi in Kabul, Afghanistan, Feb. 19, 2015. 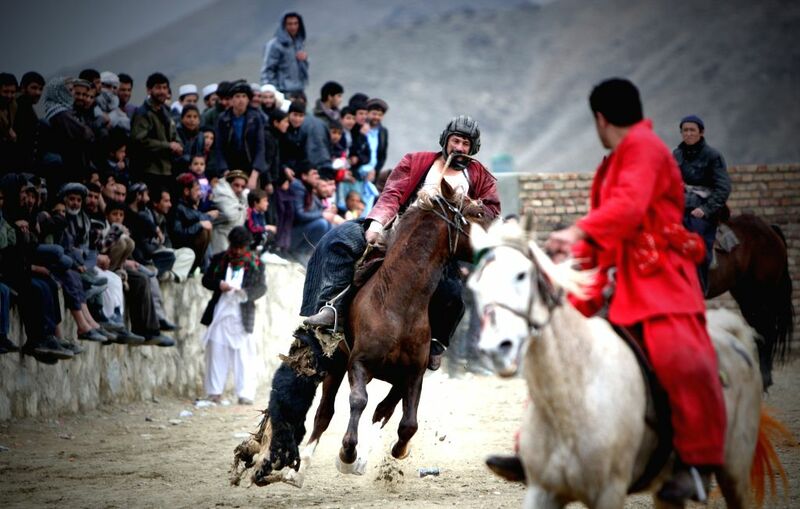 Afghan horsemen compete for the goat carcass during a game of Buzkashi in Kabul, Afghanistan, Feb. 19, 2015. 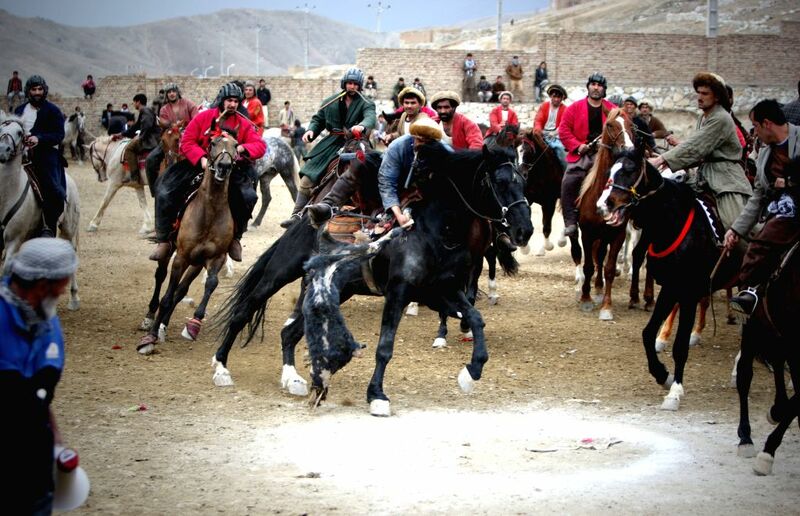 Buzkashi is an Afghan national sport which is played between two teams of horsemen competing to throw a goat carcass into a scoring circle.